Emerald Management & Realty Ltd. receives Nomination for 2017 - 2018 Reader's Choice Best in Business Award! - Calgary Property Management | Emerald Management & Realty Ltd.Calgary Property Management | Emerald Management & Realty Ltd.
Emerald Management & Realty Ltd. receives Nomination for 2017 – 2018 Reader’s Choice Best in Business Award! 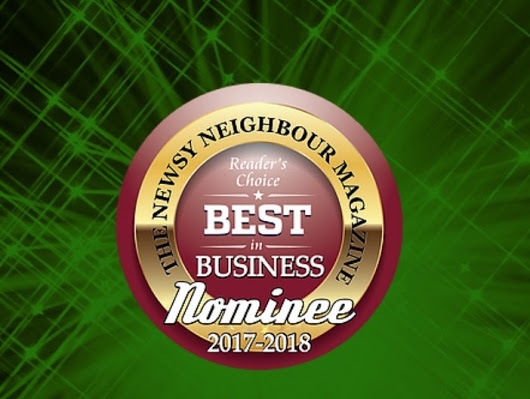 Thank you for your nomination for the Reader’s Choice Best in Business Award (Property Management) for service to the communities of Strathmore, Langdon & Chestermere! The Reader’s Choice Best in Business Awards project was created by The Newsy Neighbour Magazine three (3) years ago, with sponsorship and support from the Town of Strathmore, the Strathmore Chamber of Commerce, the City of Chestermere, the Chestermere Chamber of Commerce and the Langdon Community Association. We are excited to have sponsored the Best Pizza Award this year and offer a big shout out of support to all the nominees up for consideration! All of us at Emerald Management & Realty Ltd. are proud to be worthy of the recognition and to have been chosen as demonstrating the efforts deserving of the nomination.